Directly north of Downtown Columbus, lies the bustling Short North Arts District, established in the 1980’s, now serving as the city’s Mecca for for culture and creativity. Short North’s moniker was derived in it’s former life due to its location North of Downtown but Short of Ohio University. As one of the hippest and most inclusive communities in Columbus, residents and businesses alike are flocking to the area. If you’re considering moving your business or residence to Short North, or simply plan a visit, we’ve compiled a guide of the community. With the successful renewal of the German Village in the 1960s, developers began considering a similar renewal in the rather vacant yet charming architecture of the Short North District. In the 1980’s art gallery spaces began opening, collaborating on monthly “gallery tour” events that were instantly popular and successful. 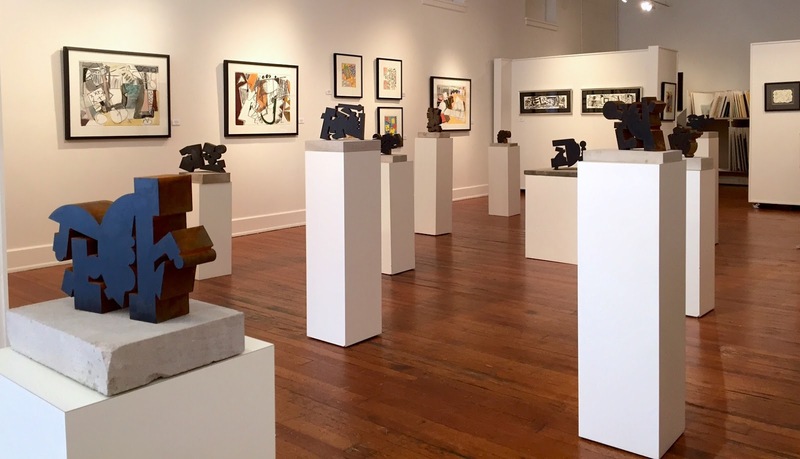 The Gallery Hop lives on today, where in addition to the gallery openings other local businesses and restaurants host artist exhibits and receptions. By 1999 the Short North Special Improvement District got to work on improving the overall quality of the district including beautifying the area. 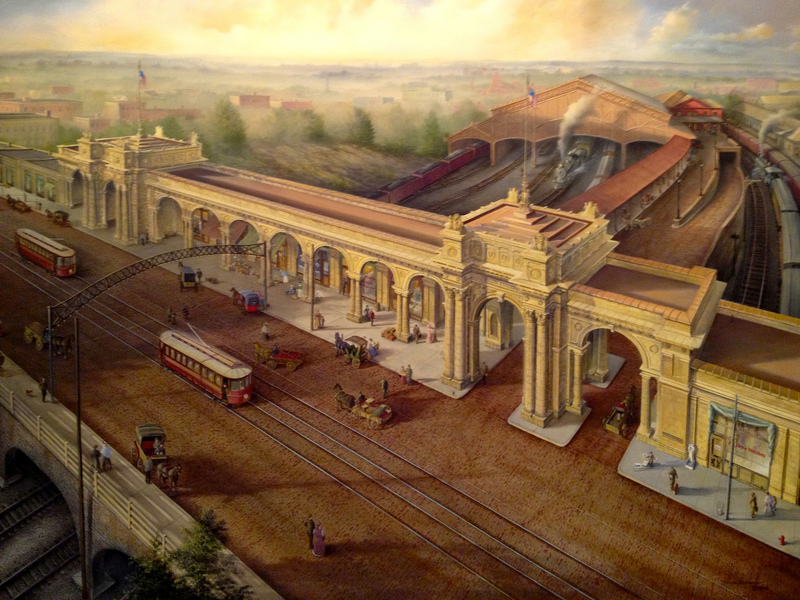 The most notable outcome was the district’s 17 lighted archways, stretching along High Street. 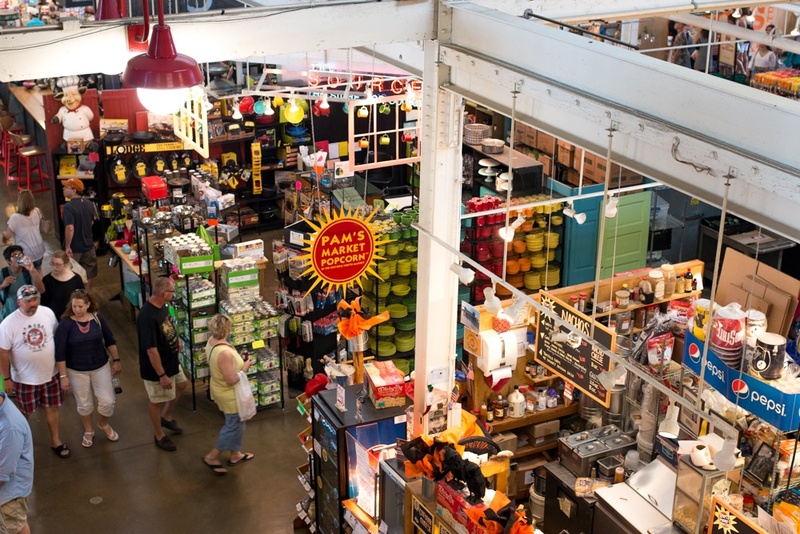 Today Short North is home to over 300 businesses, many of which are locally owned. 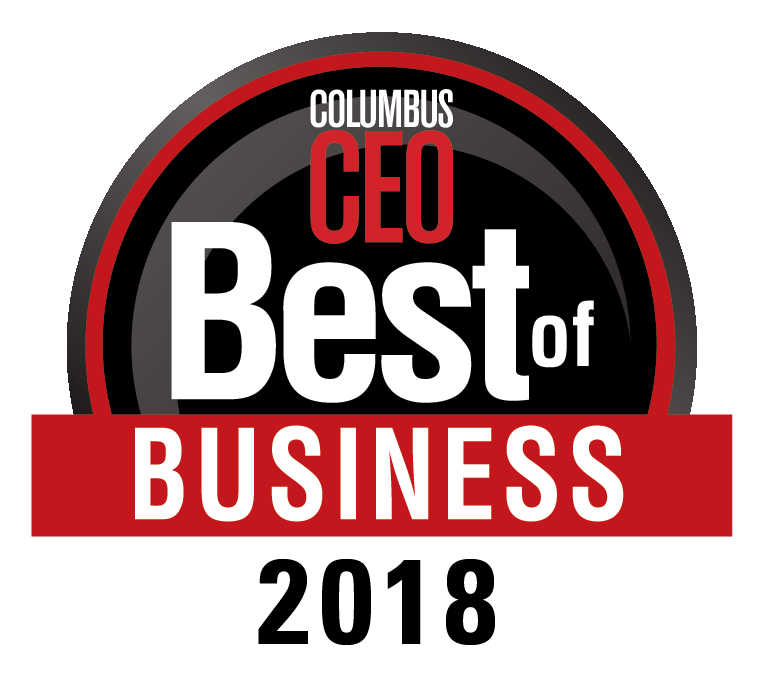 Considering the art and soul of Columbus, it has received many national accolades. 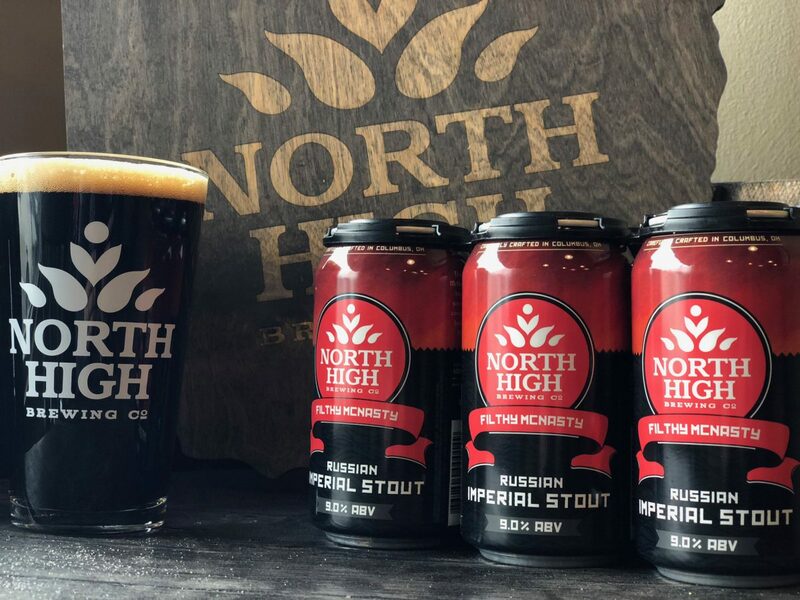 Short North is populated by many craft breweries, innovative dining establishments, and quaint coffee shops. There are too many amazing bars and restaurants to list, but we’ve shared some of the popular to add to your Short North bucket list. 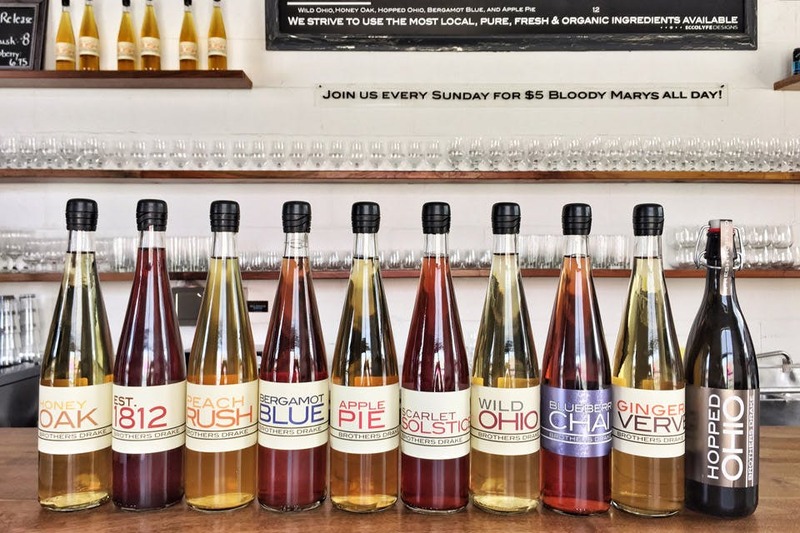 One of the first meaderies in the country, before mead break through as a popular trendy beverage, Drake Brothers features a full bar and live music, in addition to their quality mead using local ingredients. Locals love the quality musical acts they host and friendly bartenders. Carefully crafting beer on site since 2011, visitors can also becoming brewmaster for the day and their on blends. 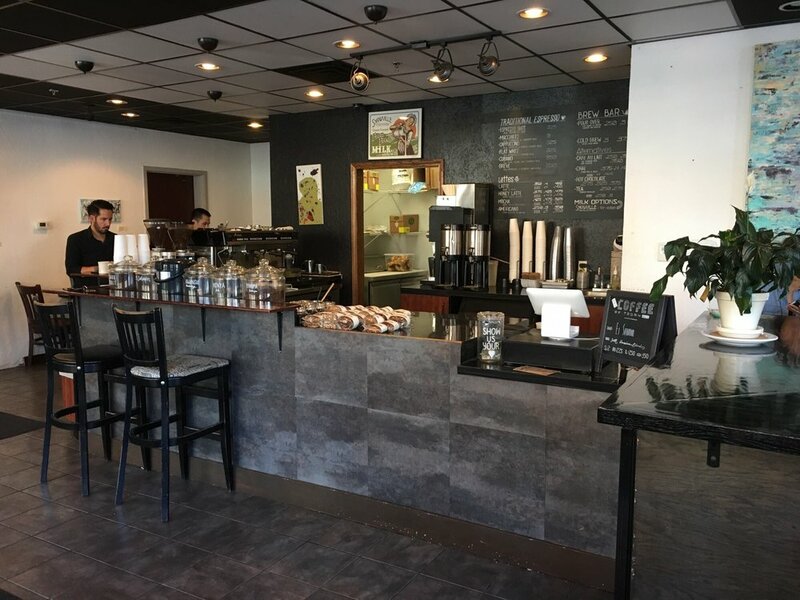 The cozy, laid back atmosphere, and wide selection of unique blends keeps visitors returning over and over again. This Gastropub, pays homage to the vibrant history of Columbus, serving gourmet, locally sourced food, craft beers, in a upscale industrial setting. Patrons rave about the ambiance, fancy cocktails, and burgers! Woker prepares fresh pitas at Brassica. Photos by Lillian Dent. 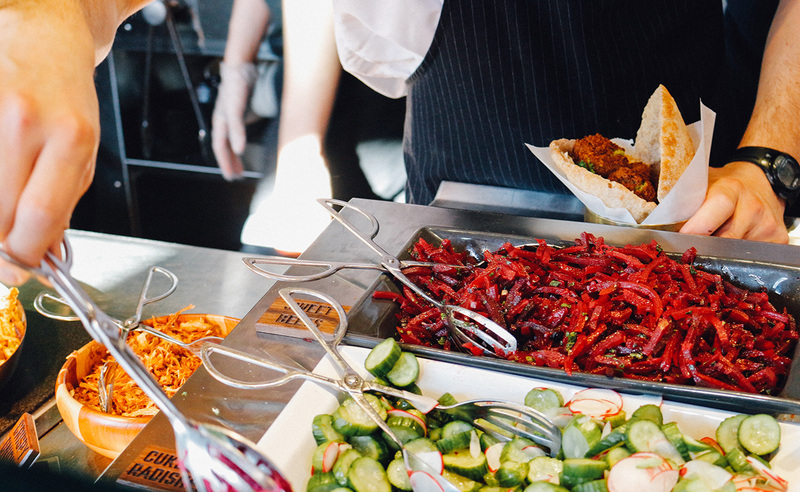 Paying homage to the nutritious brassica family of vegetables (think everything from cabbage to daikon), this eatery offers made from scratch sandwiches and salads inspired by Middle Eastern dishes. Cook prepares food at The Pearl. 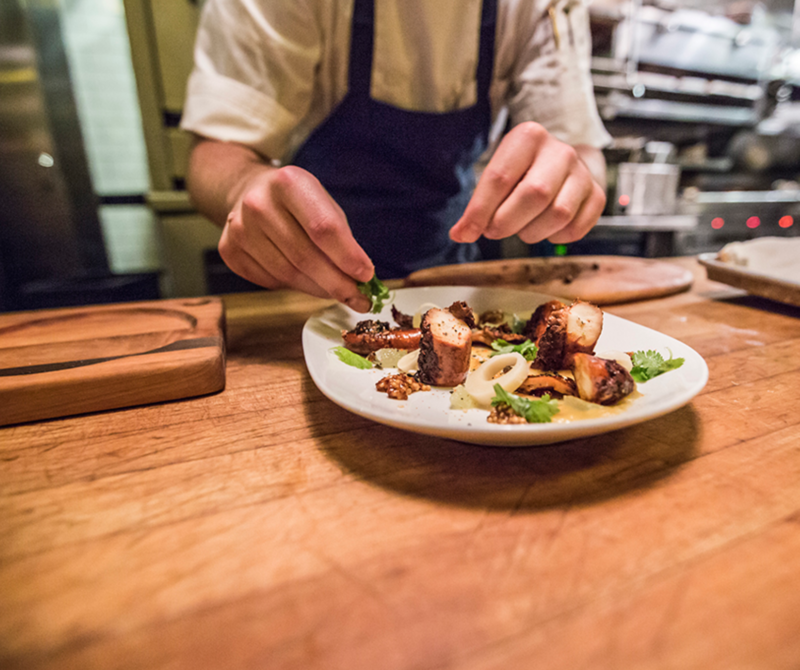 Offering a quaint decor, made from scratch cuisine, and classically inspired cocktails, The Pearl is a must visit stop on your culinary tour of Short North. Local recommend their oyster bar, weekend brunch, and old fashioned deviled eggs. Delicious food & beer at The Eagle Food and Beer Hall! 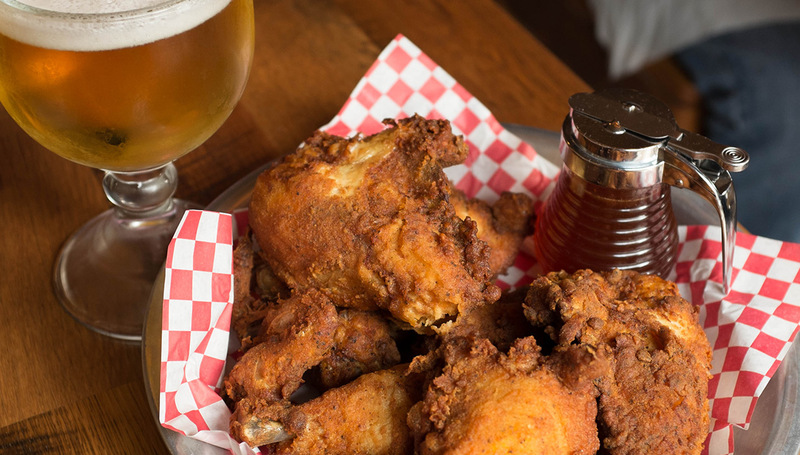 While The Eagle has three locations outside of Columbus, that doesn’t mean you should pass up their all natural, spicy fried chicken and modern take on down-home southern side dishes. 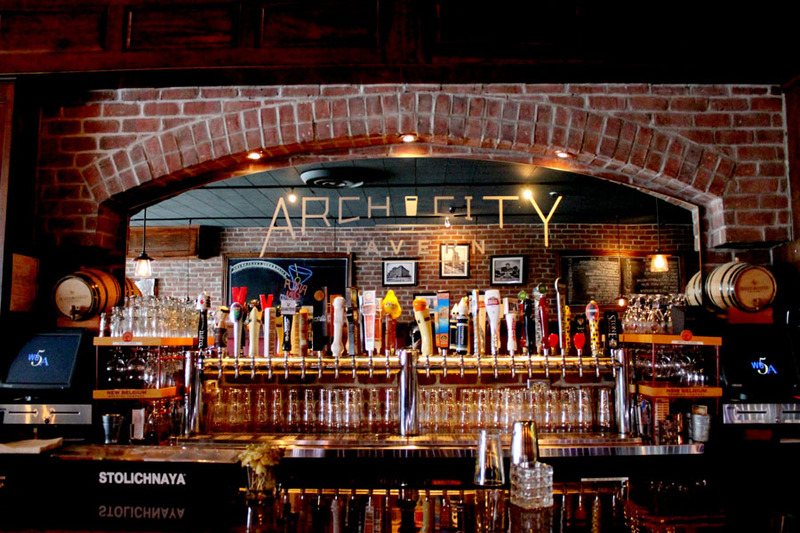 The venue also features over 100 craft beers and bluesy live music performances. 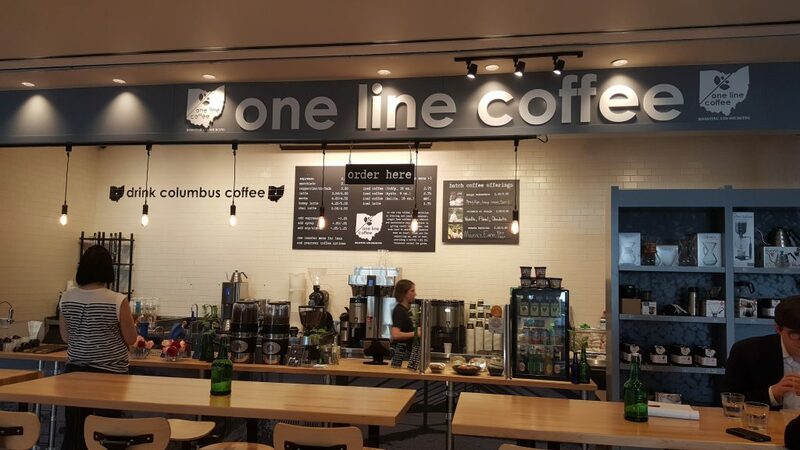 One Line coffee is know for this sustainable quality beans, and clean, modern atmosphere. Coffee connoisseurs and novices both agree, One Line is your one stop for a caffeine pick me up. If you’re seeking a quiet spot to enjoy a high quality cup of joe, be sure to make your rounds to Roaming Goat. Their Yelp listing is filled with rave reviews of the Honey Latte, if you’re in the mood for something different. 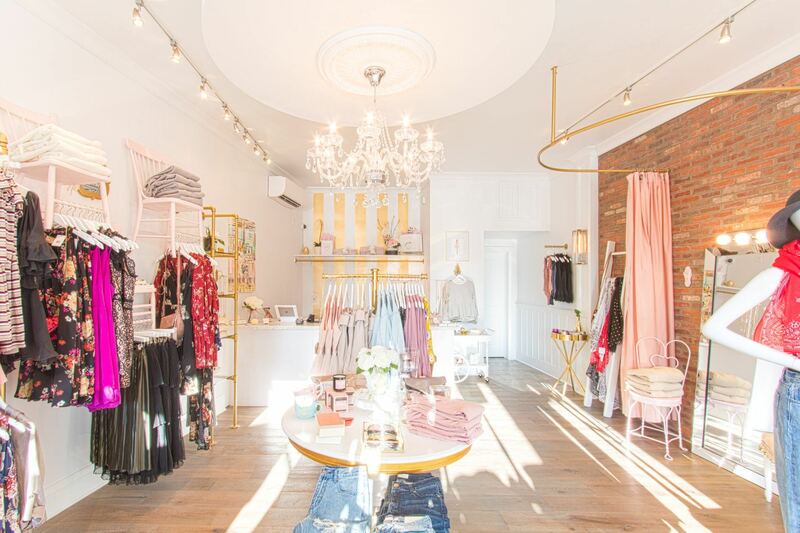 Short North is brimming with one of a kind boutiques offer everything from the latest fashion to vintage clothes and items, jewelers, toy shops, florists and general stores. Brides-to-be flock to LUXEredux Bridal Boutique, while mommies-to-be love Cub Shrub. If you’re seeking quirky gifts or fashion, visit Tigertree, then head to Red Giraffe Designs for a piece of locally made jewelry. For a district founded from an artistic community, there’s no shortage of arts and culture in Short North. If you’re seeking some Columbus culture be sure to visit during Gallery Hop to take in all of the galleries at once on the first Saturday of the month. 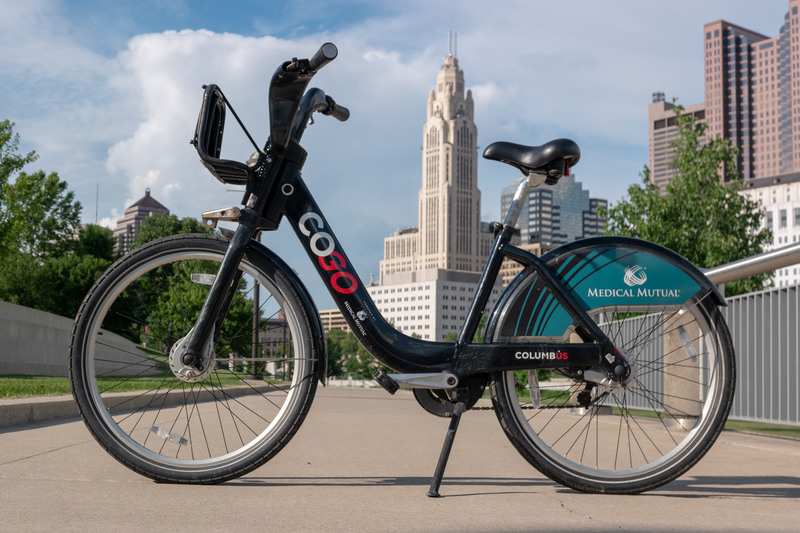 There’s no shortage on convenience transportation, while the neighborhood is easily walkable, you can also access the CoGo Bike share, several express buslines, and the free CBUS downtown circulator. Whether your visiting Columbus and looking for a vibrant community to explorer, or you’re looking for the best neighborhood to open your own business, Short North is a great option!